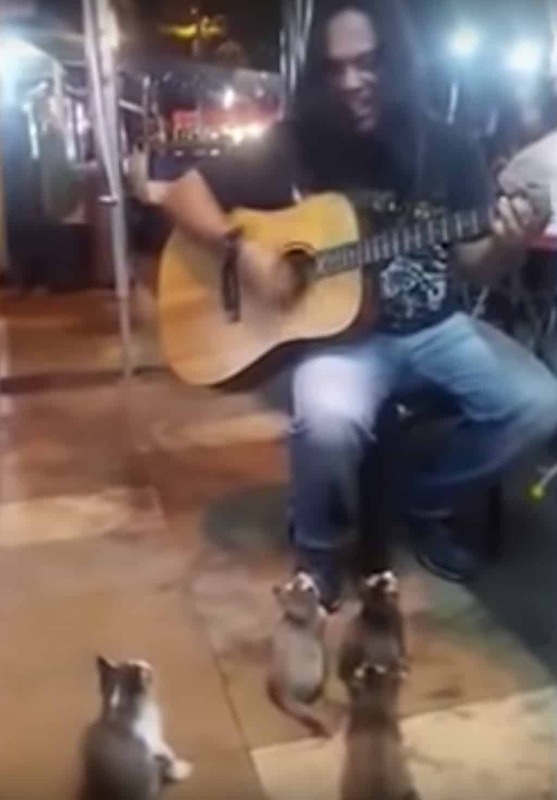 Kittens watch a busker perform in the street and it's too darn adorable! If you’ve ever performed in front of an audience, then you’ll know that it can be pretty disheartening when it feels like nobody is listening or enjoying your performance. When this Malaysian busker was performing, it seemed like nobody was paying much attention to him. Little did he know that his biggest fans were very nearby. It’s not just humans who love music. We’ve seen music affect animals time after time. We see parrots dancing along to their favorite tune, elephants crying over the beautiful melodies of Debussy, and dogs singing along as they play the piano. But this time, we get to see cats who love some good old-fashioned busking. 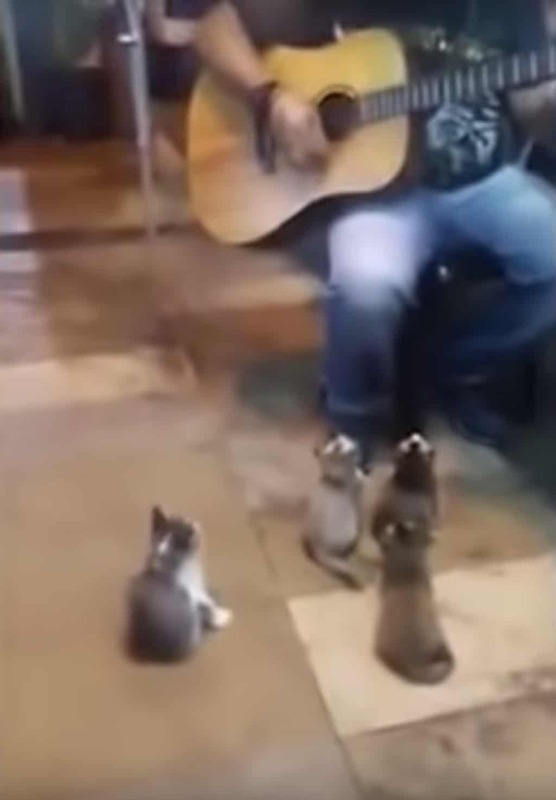 These kittens watch a busker perform and they are the sweetest audience ever! Not many people stopped to listen to this Malaysian busker, but it wasn’t long before he realized that he did have an audience after all. Four kittens wandered up to the street performer and sat on the ground in front of him. The kittens watched him play his guitar intently; they didn’t take their eyes off him for a second. When a passer-by saw what the adorable kitties were doing, he grabbed his camera to capture the sweet moment. Suddenly, the kittens come and sit in front of him. It’s like [they] know his feeling and give him support. The kittens be his audience till the end and he thanked the kittens for watching his performance. While this guy may not be winning Grammy Awards, he is certainly winning the Tabby Awards. I wouldn’t stop performing if I had as adorable an audience as this! It even looks like the tiny kittens are bobbing their heads along to the beat. Who’d have thought that kittens would love the guitar so much? Maybe this busker is a secret cat whisperer and has them entranced with his magical guitar… Whatever the reason, it’s super cute!